The Yamaha PSR-E463 boasts advanced features in an affordable, portable package, great as a starter instrument but also perfect for more experienced players looking for a unique playing experience. - Groove Creator with Intro, Section change and Musical Climax gives you real-time control of your own EDM tracks like a DJ. - Quick Sampling to USB or Internal Memory for instant recall at just the right time! - 1/8" AUX input takes output from a portable music player, iOS device, mixer or computer and uses the instrument's speakers to play back the audio. - Style Expansion Memory is on-board storage allowing you to expand your Style library with your choie of custom content. - The USB "TO DEVICE" port allows connection of USB flash drives for loading and storing data. 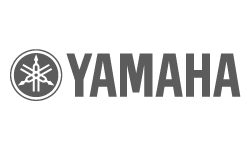 - The XG Lite Voice library is a next-level collection of Voices over the General MIDI (GM) collection, designed for playing back songs from Yamaha's extensive XG song library at www.yamahamusicsoft.com. Available until 11 PM (EST) today. Mention special code 1ZP-R97F when you call.